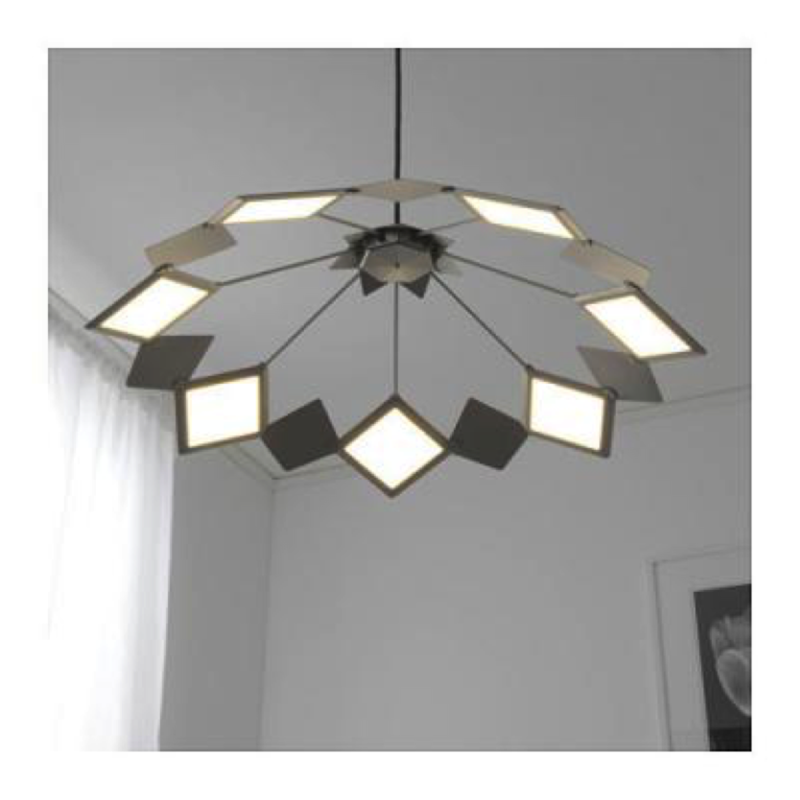 IKEA launched its first OLED lamp, the Vitsand - a chandelier with 7 OLED panels. The Vitsand provides 700 lumens at 2700K. Each panel is about 77 lm/W (total 7W). The lamp is dimmable, and the panels unfortunately cannot be replaced. The Vitsand is now available in IKEA Europe for €199. It is great to see OLED lighting enter a retail store like IKEA, even though the price is still very high. LG Display makes the panels.